The Sahand scarf is woven from virgin wool and composed of navy blue and iron grey. 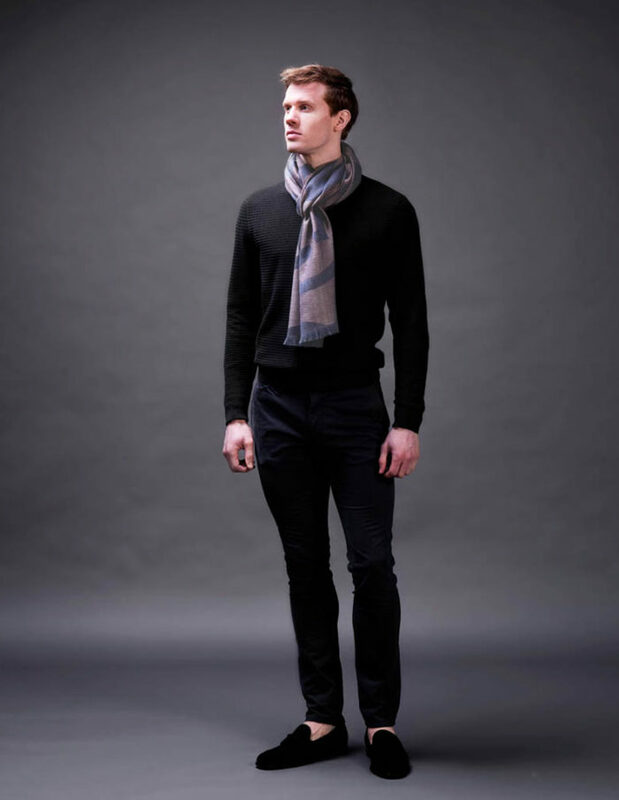 Crafted in a luxurious virgin wool, it is as much a utilitarian scarf for men as it is a bold accessory. Team it with your winter wardrobe for the cold season. 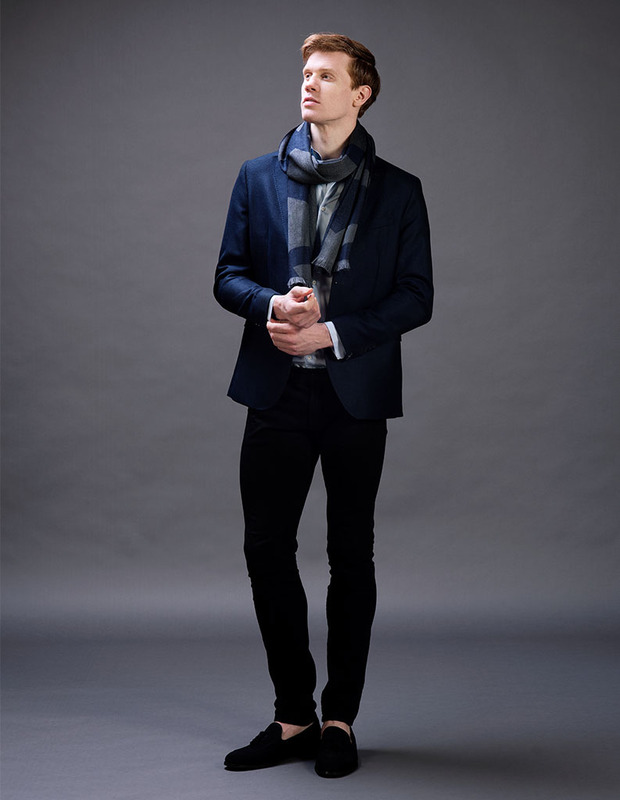 This ever classic navy & grey motif men’s scarf will easily compliment any formal or informal fashion style.